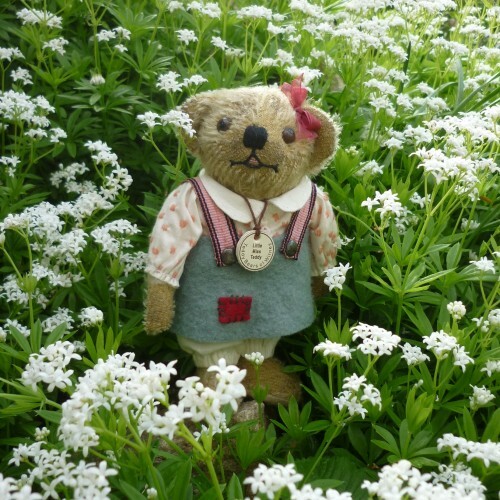 Little Miss Teddy is inspired by Master Teddy, an iconic 1915 Chiltern Bear in our museum. She wears a hand-embroidered blouse, a felt skirt supported by stripped braces and cotton bloomers. She is jointed only at the neck.